The “Good Light” round-table was held at the Aula Magna of the Dimesse Sister College of Padua. The new lighting system designed for “La Specola” is an innovative example of sustainability and partnership between the public and private sectors. It also pre-empted the new lighting system for the Major Tower of Carrara Castle that was revealed on 29th September. Massimo Turatto, director of INAF Padua, led the meeting presenting the details of the “La Specola” project to the public administration and the other public actors involved. The aim was to provide an excellent example in terms of good urban design, energy efficiency and decrease in lighting pollution. Arturo Lorenzoni, Vice-Mayor of Padua, Luca Zaggia, coordinator at VenetoStellato Association, Andrea Bertolo, manager at the Lighting Pollution Observatory of ARPAV, Sergio Ortolani, Full Professor at the Department of Physics and Astronomy “Galileo Galilei”, Antonio Stevan, architect and designer of the new lighting system, Piergiovanni Ceregioli, Cultural Research Centre Director for iGuzzini and Daniele Romanello, manager of the public lighting at AcegasApsAmga – participated in the discussion that emphasised the negative impact of lighting pollution on people, the environment and the different ecosystems, pointing out that the current critical situation is a matter concerning everybody. As a result of the meeting, it emerged that this issue can be tackled through technological products that can efficiently reduce this phenomenon. The proposed solution relies heavily on a collaborative approach involving all the different parties that worked on the project. 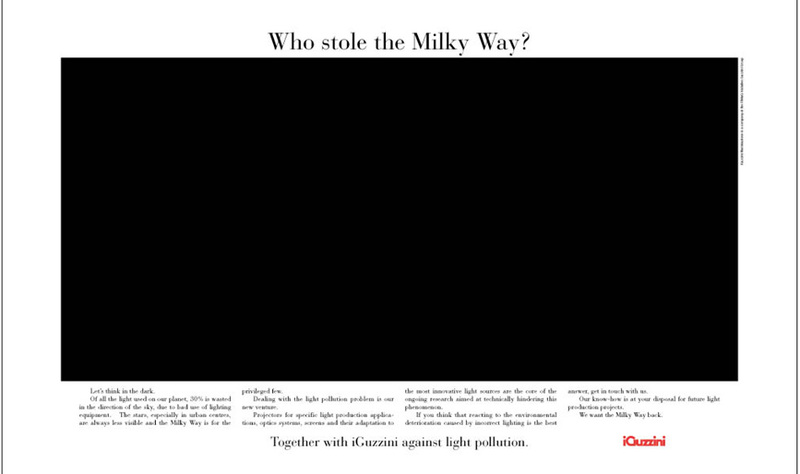 iGuzzini’s commitment to fighting lighting pollution dates back to 1993 when the company first raised the issue through its advertising campaign “With iGuzzini against lighting pollution”. This was subsequently mentioned in a bill against lighting pollution (no. 751/96), together with international associations such as the Dark Sky Association and Unione Astrofili Italiani, who work towards minimising light pollution. Following this, the company conducted intensive research to develop certified products which could increase the efficiency of the lighting source while improving the quality of the light emitted. This was followed by the implementation of LED sources through optics able to direct the luminous flux only where it is needed and avoid upward light dispersion; then, by the intelligent and customisable control system able to adjust lighting according to usability in urban areas as a way to reduce also energy consumption (where possible), while still meeting minimum security requirements. Sensor-enabled responsive light furthers the development of smart lighting for the urban context, by being able to identify moving subjects like pedestrians, cyclists and cars and augment the luminous flux only when necessary.